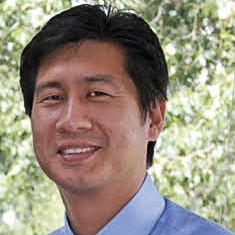 Dr. Hong grew up in Brazil and holds a DDS degree from the University of Sao Paulo, Brazil. Dr. Hong entered the University of Sao Paulo’s post-graduate program in Prosthodontics and taught both Prosthodontics and Periodontics. He received a Specialty Certificate in Periodontics in 2006 from Nova Southeastern University in Fort Lauderdale, Florida. Dr. Hong became a Diplomat of American Board of Periodontology in 2008. Dr. Hong moved to Seattle in 2008 as he accepted a faculty position at the Department of Periodontics at University of Washington. Dr. Hong’s excellent reputation has been earned by his clinical experience, as well as his position as Assistant Professor of Periodontics (2008-2014), Clinical Director of Graduate Periodontics (2015-2016), and Clinical Associate Professor (2016) in the Department of Periodontics, University of Washington. Dr. Hong and his wife Lisa, have 3 wonderful boys, ages 17, 14, and 7. They enjoy traveling, violin recitals, and spending as much family time together as possible.